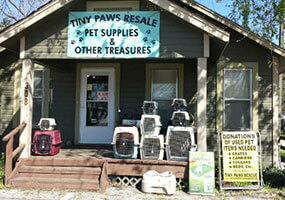 This page is devoted to the hundreds of dogs that found a new life and loving home through Tiny Paws and Chi Rescue. 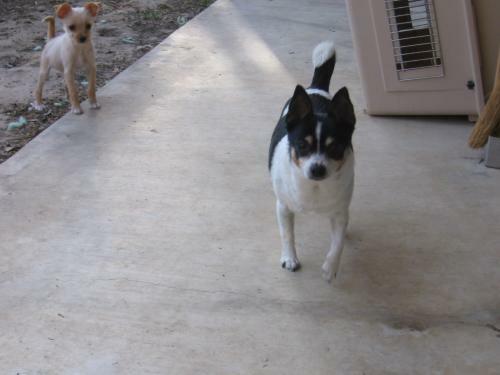 These dogs have already been adopted below and are in a loving home! Meet little Poochy, he is a TINY 2.8lb little coco chihuahua. 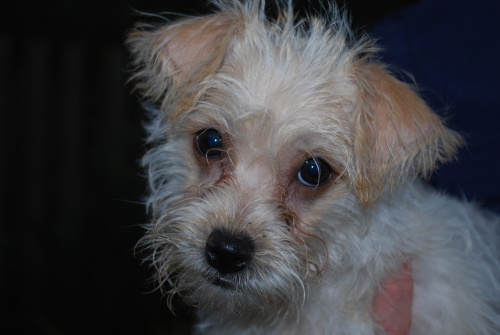 He came to us weighing only 1lb starved and could not even walk. He now is up to his weight and moves fine but he must have had a spine injury since he doesn't run to much and by the xrays it was determined. Plus Poochy had a hard time eating since he had TEN baby teeth that needed to be extracted. Poochy eats fine now and loves to eat. Poochy is a true love bug, his dream home would be with one that is home and can have him on their lap all day. Poochy loves to be carried around and shown off. He is the cutest little bark you ever heard. Poochy is puppy pad trained and would do great as an only dog or where there are tiny little companions for him. Meet Winnie, a Maltipoo with maybe some Powder Puff unique combo. 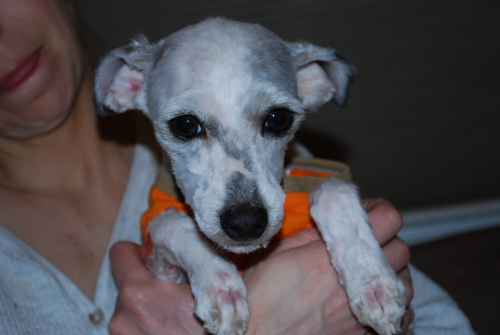 She had to be shaved down to her skin but soon will have beautiful nonshedding flowy hair . Winnie is about a year old and weighs 8.9lbs but should be 11 lbs she is just skin and bones now but her appeitete is great so that will not be a problem. She probably was never fed. As you can see in one of her pictures she was in TERRIBLE condition when we rescued her. 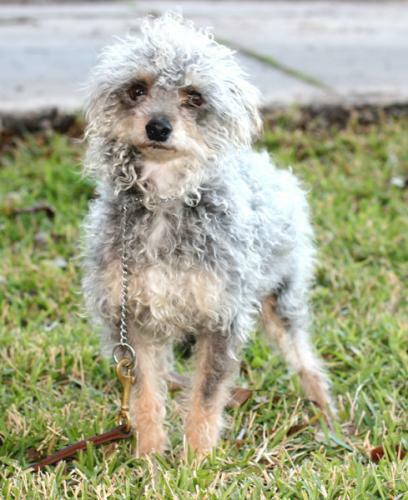 She was so matted she could not even walk and you could barely see her eyes. The groomer and vet said it was the worst case they ever saw. SInce she was so bad the groomer had to shave off everything leaving lots of sores on her skin. Winnie is feeling so much better and running around like a puppy should and able to see. Winnie is the sweetest dog you ever met she just wants to please. Happy girl that stays by your side. She gets along great with other dogs and is housebroken. She does very well with all dogs and people, super friendly in public places If interested in giving Winnie the life she deserves please email Tinypaws26@aol.com for an application. Winnie's adoption fee is 200.00 which includes all her vetting-spay, dental, microchipped, UTD on shots, rabies, wormed and on heartworm preventative. 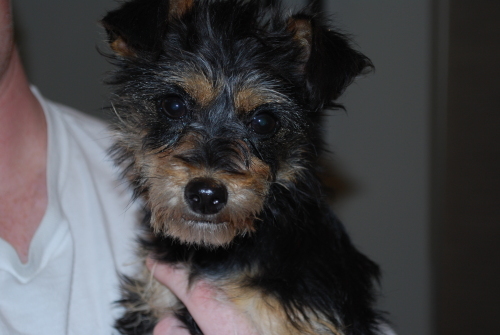 Meet Lori, a 7month old female 6.5lb yorkie. She is a beautiful lively young girl who was dumped at the shelter. Lori is very loving and playful. She is super sweet and gets along fine with her other foster siblings. Lori is doing very well on her housebreaking. She loves to be brushed and just yearns for attention. Lori is very smart and loves to play. She would be great as an agility dog. She is looking for that forever loving home. Due to her size she can not go to a home with children under the age of 12. Lori is spayed, UTD on all her shots, dewormed, rabies, microchipped and on heartworm preventative. If interested please email Tinypaws26@aol.com for an application. We require a completed application and a home visit prior on proceeding with any adoption. Meet sweet little Anabelle. 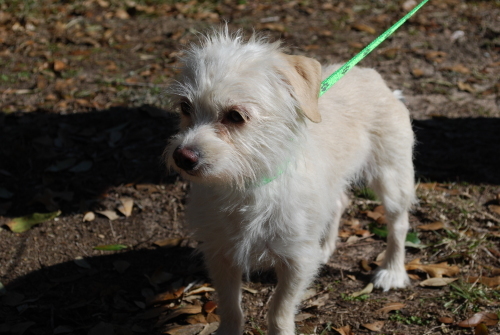 She is a poodle mixed with possibly Westie since she has a very short stocky body with the cutest stubby legs. She has a beautiful soft, white fluffy coat and weighs only 8lbs. Anabelle is 10-12 months of age and was dumped at the shelter, reason unknown. 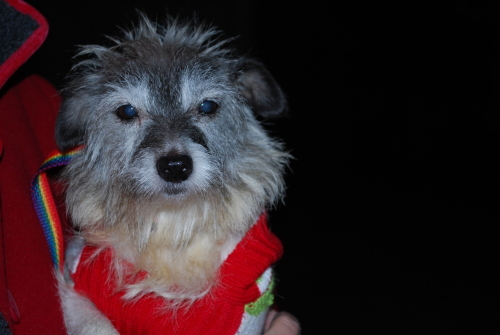 Not sure why anyone would dump a cutie pie like Anabelle. She is crate trained and is working on her housetraining. 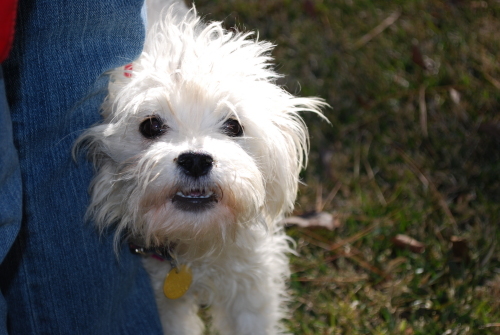 At first Anabelle is timid of strangers but warms up nicely to the people that are nice to her. She follows her foster mom and is so happy to see her when she walks through the door. She is very eager to please and loves the soft touch and gentle voice of her person. Anabelle would do best in a home with another dog of similar size to play with or as an only dog for someone who works from home or is home most of the time. Anabelle is spayed, up to date on all shots, microchipped, rabies vaccinated and heartworm negative. She is also on heartworm preventative. If interested in Annabelle please email tinypaws26@aol.com for an application. What do you get when you combine 1/2 maltese & 1/2 pug? A whole lot of wonderful! Here's Jack Frostee, one of the sweetest and funnest pups you'd ever meet. His big brown eyes are so expressive, and his face is highlighted with the curls and wispies of his unique hairdo. Cute as a button with a little curly tail like a pug and smart as a whip, Jack Frostee is the kind of dog that changes those around him. The life of the party, he is outgoing and adorable and can put a smile on any face. Better yet, he loves to snuggle and be held, and can settle into a lap for hours on end. His favorite activities include going for a brisk walk, riding in the car for road trips, zooming around the yard with his canine buddies, and settling down at night on his human's pillow for a long winter's nap. He was born in early October and is neutered and up to date on his vaccinations. He is leash-trained and is doing very well on his housebreaking--he goes outside and uses puppy pads alike. He loves children and other animals, as long as they like to play. Would you consider making Jack part of your family? He would especially love to be with another playful dog. He is a quick-study and will catch on to just about amything, but definitely needs an owner who is willing to dedicate time and energy into exercising and teaching him. 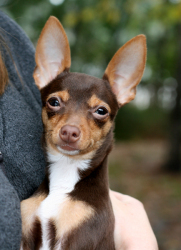 Jack Frostee is neutered, UTD on shots, microchipped and on heartworm preventative. If interested please email Tinypaws26@aol.com for an application.